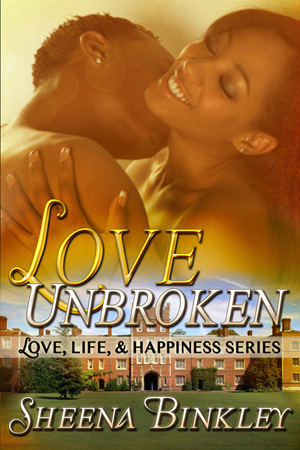 I love anything with Carl Weber, Nicholas Sparks, Victoria Christopher Murray, and Reshonda Tate Billingsley. Now that the New Adult genre is huge, I love various authors from Jessica Sorensen to Colleen Hoover. I love the New Adult genre. It’s just something about reading characters who come full circle with their lives and finding love when they least expect it. I can’t get enough of the genre. Location and life experiences can really influence writing, tell us where you grew up and where you live now? I grew up in Houston, Texas, but I live in a sub city named Stafford, which is still in Houston. Do you find it hard to share your work? I do sometimes. I may be a bit intimidated when I share my work mostly to strangers than family or friends. With my first story, In Love With My Best Friend, I was really nervous to share it to the public because this was my first book and didn’t know how people would perceive me and my writing. So it takes a little getting used to with comments or feedback about a particular writing or work. Is your family supportive? Do your friends support you? My family and friends definitely support me. They were the first one out buying my book! I really appreciate their love and support for me while trying to find my way as a writer. It means a lot. Of course! I’m in the process of publishing my fifth book, Trust Me, which is the second book in the Love, Life, & Happiness series. The story will be released February 27th. I am taking a month off from writing and will start back in April to begin writing The Wedding Part I & II. What else do you do to make money, other that write? It is rare today for writers to be full time…. I’m an office manager for a driving school. I run the entire office as well as help teenagers and adults with driving programs. I’m also a freelance writer, and have published several articles for various sites. I have been a secretary, a preschool teacher, a cashier for Old Navy and for a community college, and a substitute teacher. How do you write- lap top, pen, paper, in bed, at a desk? I have to use a computer when writing. I feel lost without one. When I have ideas, I usually jot them down on my iPad, but I have to use a computer for the final project. Usually I will read, watch TV, hang out with my family and friends, or just sleep. Sleep is always good! I will also be posting the giveaway link to my Contest and Giveaway page, along with other giveaways that will be starting soon (including a giveaway for an autograph paperback copy of In Love With My Best Friend on my blog). I think being around my family and friends makes me the happiest. If I’m having a bad day, I can always look at my son or husband and everything just goes away. I think that’s the most important to me. Positivity is a very important trait of mine, because I try to look at everything through a positive prospective. No matter the situation, I will find something that will make it more effective. Being oversensitive is my weakest character trait. Sometimes, it may not be a bad thing, but I think I can overanalyze or just be super sensitive on certain situations. I’m an avid reader; I love to read various genres and picture the setting, characters, or situation and think about my own life. That’s why I started to write, because I want to be able to put a situation or setting into prospective and be able to focus on what the outcome will be. I have a vivid imagination, so I think that’s the inspiration I need to come up with storylines, characters, etc. But I also think it’s my love for writing and being a reader that makes me want to create stories that are interesting and engaging. Having a wonderful husband and son that are a joy to me are the most important to me. That and getting my master’s degree in Business Communication was a huge accomplishment for me. I really loved The Baby-sitters’ Club and Sweet Valley High. I think I read every book pertaining to Sweet Valley High, including Sweet Valley Twins and the college version. I can also say that reading those books were inspiration for me to begin writing. For the full interview, check out Mommy Adventures at http://www.ravinaandreakurian.com/. In celebration of my book tour this week, I am giving away a $25 gift card from Amazon! To enter, just click on the link below and either sign in with your Facebook account or through your email address. Giveaway ends next month. Good luck!! Hi everyone! I’ve been getting ready for my book tour, which begins on August 20th. 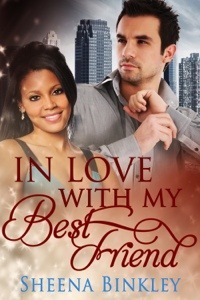 The tour will feature author interviews, reviews, and excerpts from In Love With My Best Friend. I will also be doing guest posts on various blogs. I will also be doing a giveaway for a $25 gift card from Amazon, so make sure to look out for that!